The expertise available from Amertec can cater for all your needs from refrigeration equipment such as compressors, condensers and evaporators to environmentally friendly energy conscious design, engineering and installation solutions with a strong focus on the management of your carbon footprint by applying the latest in refrigerant technologies. Amertec Proprietary Limited is an Australian-based company established in 1992 with operations in Adelaide, Melbourne, Sydney, Port Macquarie and Brisbane, focused on delivering quality, reliability and total customer satisfaction to our clients. 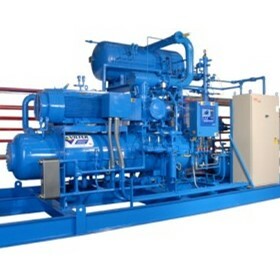 Amertec is committed to providing the highest quality refrigeration, mechanical services and heat transfer equipment. We provide a highly skilled team of engineers and technicians, who exceed our customers requirements and expectations, by safely delivering reliable, cost-effective and productive services that are environmentally sound.